A man led police officers on a chase through miles of rush hour traffic, police said Friday. It all started around 5 p.m., when officers were called to a home in the 4400 block of Dawson Avenue in Talmadge for a report of a man who jumped a fence into a backyard, according to San Diego police Officer Billy Hernandez. A woman and a toddler were in the yard at the time, Hernandez said. After being asked to leave several times, the man took off just as police were arriving. Officers gave chase, and the man led them onto Interstate 8 east toward La Mesa, according to Hernandez. 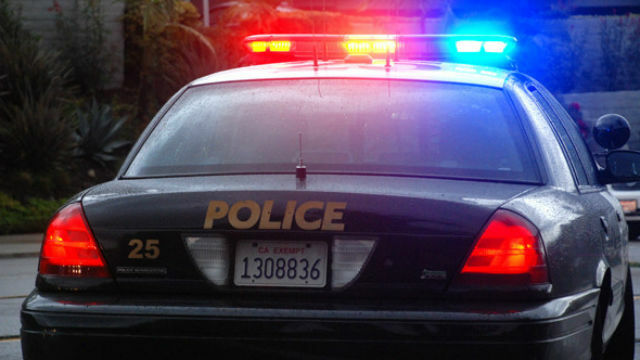 Police called off the chase after driving through La Mesa for reasons that were unclear, but the suspect crashed into the back of an SUV a short distance later and abandoned his car, fleeing on foot into a canyon near the Spring Street trolley station, the San Diego Union-Tribune reported. Police were able to catch the driver, identified as 28-year-old Donte Smith, and arrest him near the Spring Street trolley station, Hernandez said.